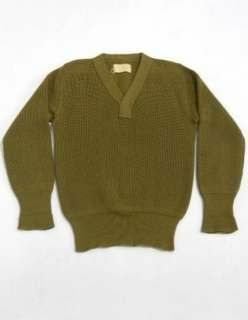 Reminds me abit of the US aRMY mechanic's sweater - - except in a non-military colour that you don't see just everywhere. I like this sort of quasi-v-neck because it can be worn with a tie. The mechanics one does seem to be just a generic 30s-40s pattern, which is just what I would like in a range of colours. 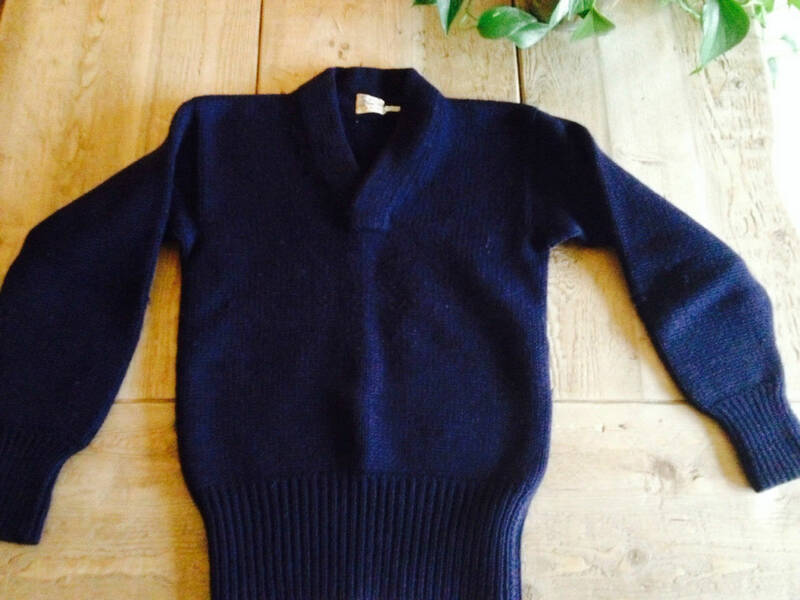 The problem with the versions of the mechanics sweater offered by the usual reenactment suspects seems to be that they all modernise the fit to suit corpulent reenactors, rather than maintaining the original shorter length and fit, and the yarn used appears to be lighter, so the whole garment looks more like a sloppy Sunday golfing sweater. The original pattern is lovely though, especially the collar in my opinion. That, combined with the cuffs and waist ribbing... killer. Also they are not short but the waistband can be turned up - which is a happy compromise between modern and vintage buyers.